Virtual reality has certainly been taken to the next step in the past few years, with several different virtual reality games for Android and VR kits being released on a quarterly basis. It can be hard picking out the demo games from the real, full-fleshed VR games. Many games aren’t free, and when they aren’t they’re not cheap; we’re here to help with that. 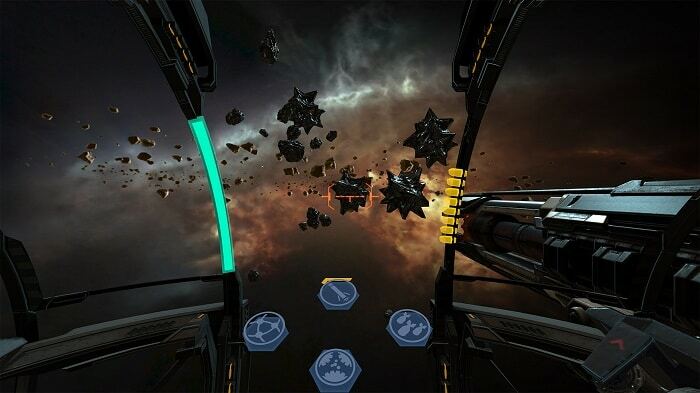 Below are our top ten virtual reality games for Android to play today. Introducing Sisters, a mobile VR gaming experience featuring a spooky ghost story. Stay on your toes at all times, you never know what might crawl out of the shadows next. 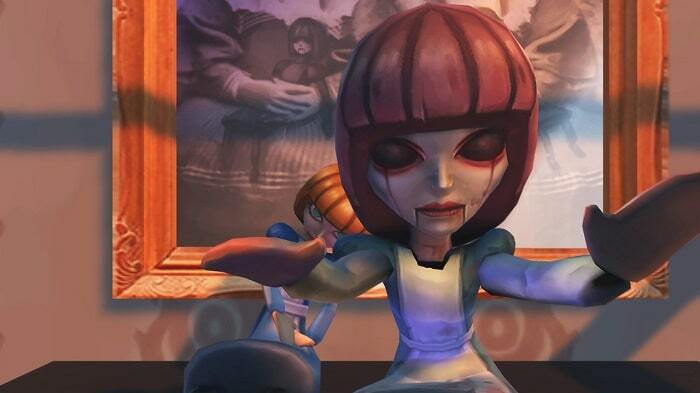 Sisters offers a raw VR horror experience mobile gamers have been waiting for, featuring stunning 360 degree visuals and immersive surround sound audio. Players with headphones will surely get the most out of one of the scariest virtual reality games for Android on the market today. Download Link: Google Play Store, Oculus Store, iTunes, Steam Powered. VR requirements: Google Cardboard, Samsung Gear VR. 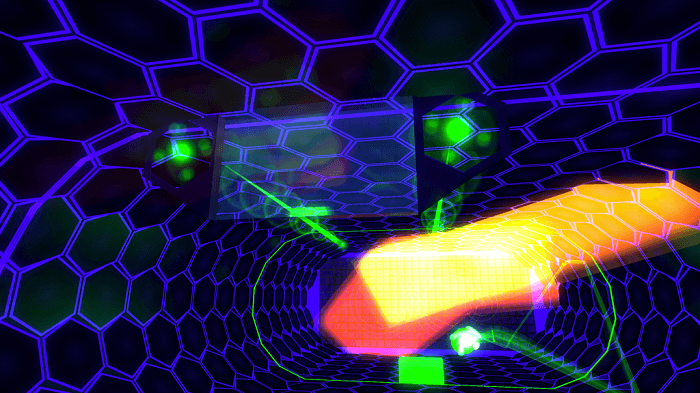 Prepare to battle in ZeroTransform’s latest arcade classic, Proton Pulse. It’s up to you to be the winner of the most competitive games of atomic paddle-ball to ever have been witnessed. Players will utilize their paddle to direct the Proton, the secret weapon to defeat the MO.A.I. core, as they explore Proton Pulse. The Space-Time Dilator can be used to turn misses into hits. Download Proton Pulse today to destroy the M.O.A.I. and finish over 50 levels! 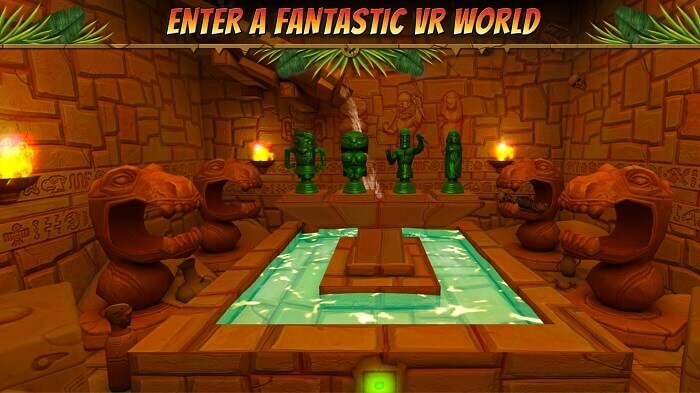 Become a treasure hunter in Hidden Temple – VR Adventure and start searching for quests, mysteries and fortune. The goal is simple in this exciting, addictive VR adventure game: escape from the ancient temple and its dwellers. Featuring a point-and-click themed adventure, players are tasked with the mission of collecting and combining items to solve puzzles and discover secret areas. The corridors can be fully explored via an immersive 360 degree view, making players feel like they’re in the game. Note that HandyGames recommend their game for Google Cardboard, but it’s possible to play Hidden Temple on the Gear VR as well. Download Link: Google Play Store, iTunes, Oculus Store. 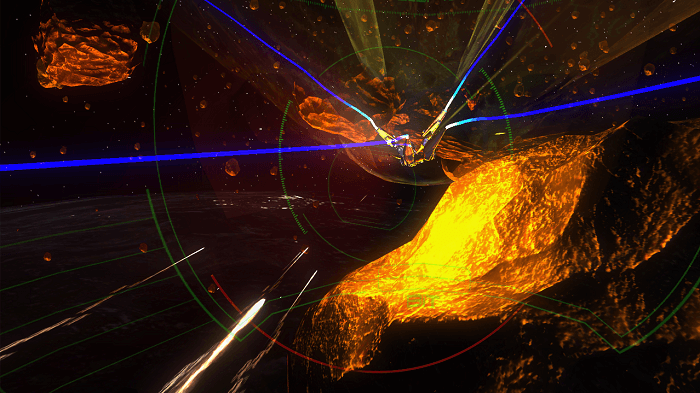 Gunjack 2: End of Shift brings all-new immersive action set in the EVE universe within the Outer Ring of New Eden. Brought to you by CCP, G2:EoS is the successor to a VR shooter that carries a “best-seller” title in the industry. Players will take comfort in the the vast mining rig Kubera, otherwise known as home. Take part in the EVE universe as a turret operator fighting against waves of enemies along with your crew in effort to defend Kubera. CCP recommends gamers to pop on a pair of headphones before starting. Unfortunately, Bluetooth headphones are not supported. Download Link: Google Play Store. 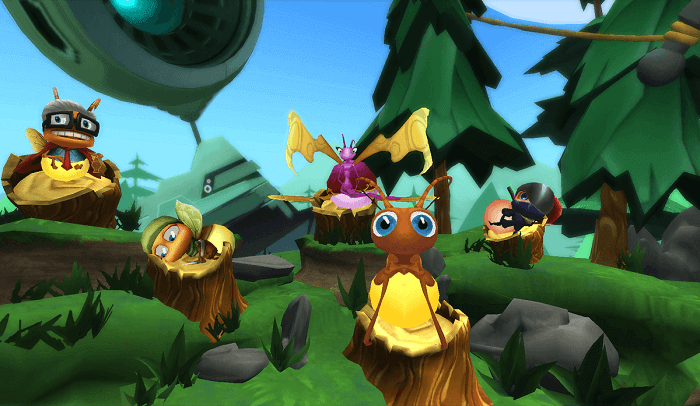 Lamper is a completely free to play 3D VR game featuring beautiful, immersive worlds made fascinating through the innovative technology of virtual reality. It’s easy to start playing, the only controller required is your head! Collect power ups and upgrades to defeat enemies and defend yourself in this addictive runner game. 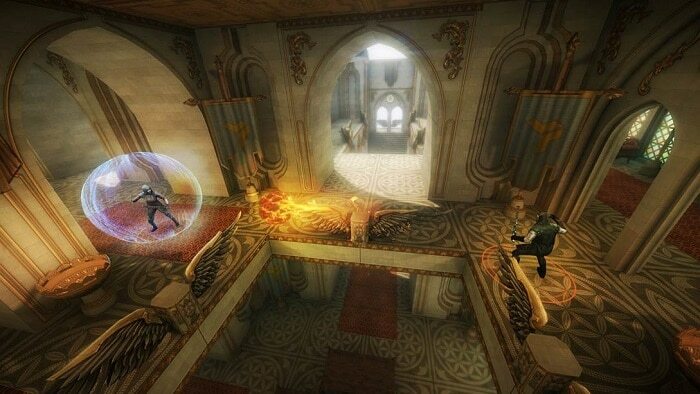 The recipient of several VR awards, Wands is one of the few virtual reality games for Android that offers online multiplayer only. Players will be able to unlock new spells and use them again other enemies in first person combat. Gamers look for a break can simply sit back and spectate other games. Download Link: Google Play Store, Oculus Store. VR requirements: Google Daydream, Samsung Gear VR. Vanguard V is a 3rd person rail shooter featuring fast-paced action brought to you by the developers who released Proton Pulse. Like their previous title, Vanguard V is based around space travel and combat, utilizing a fluid control scheme and beautiful design. Check out of society for a bit and travel the universe in Vanguard V.
Download Link: Google Play Store, iTunes, Oculus Store, Steam Powered. Fans of Cartoon Network’s funny and exciting Adventure Time will be sure to enjoy this VR release. 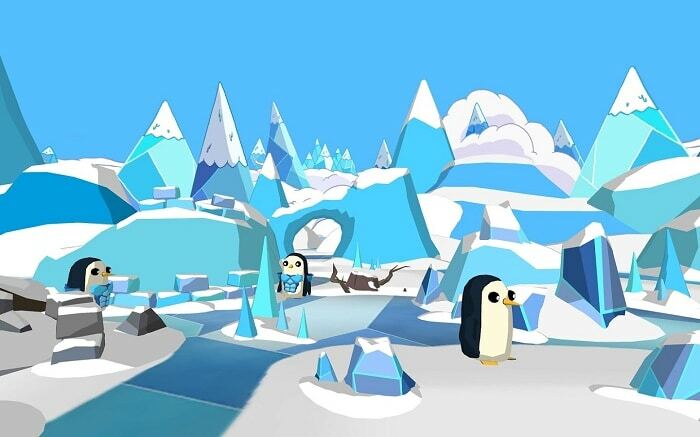 Gamers will play as Finn and be tasked with the mission of discovering why the Ice King is such a rotten egg. For the very first time, Adventure Time fans will be able to explore and take part in the world they’ve always viewed from the outside. Download Adventure Time: I See Ooo today to get the most out of Land of Ooo and play a variety of your favorite characters across several fast-pace mini-games. Download Link: Google Play Store, iTunes. 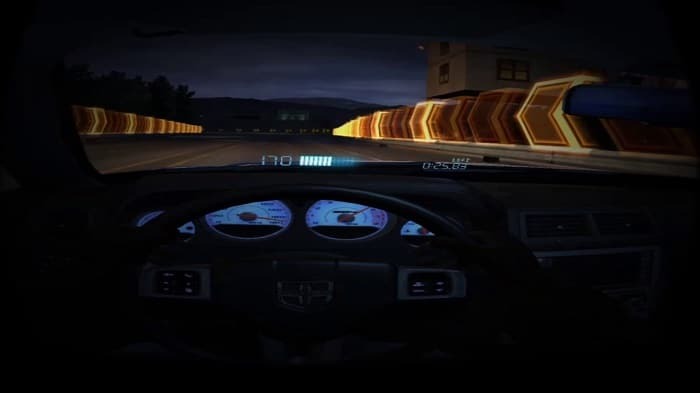 One of the view virtual reality games for Android that’s based around the track, NFS: No Limit is EA’s take on VR gaming. There’s no lack of content, with EA offering up to 60 events across 12 tracks within 4 realistic environments. Similar to other titles in the NFS series, gamers can customize their rides and have just one goal: to be #1. VR requirements: Google Cardboard, Google Daydream. 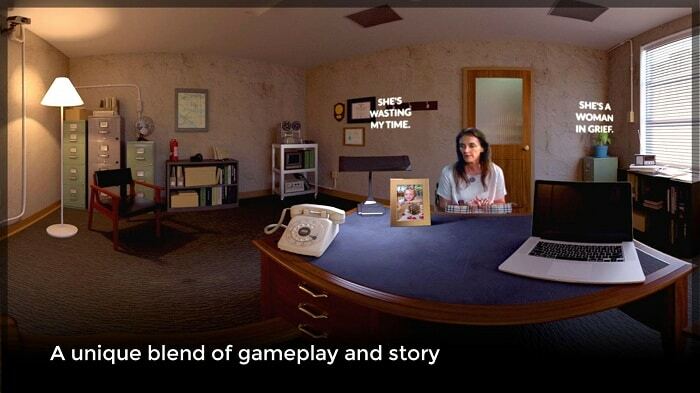 VR Noir offers a different experience to VR loyalists with an interactive crime thriller experience available for Google Cardboard and Gear VR devices. You’ll start off as Veronica Coltrane, an over-worked private detective with a dark past. Meet local characters in a VR environment, solve puzzles, and use what’s provided to get through the story in one of the few crime thriller virtual reality games for Android available today. We hope we’ve helped in your search for the best virtual reality games for Android available today. Are you we missing your favorite title? Leave a comment below and let us know, or feel free to leave feedback about our list. Stay tuned for more of our top VR favorites. for more of our top VR favorites.